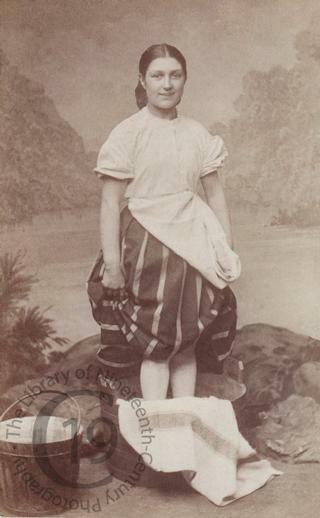 A carte-de-visite portrait of a Scottish woman washing clothes. A printed caption recto in the lower margin reads: 'Scotch Washing'. Photographed by D. Macara of Edinburgh.